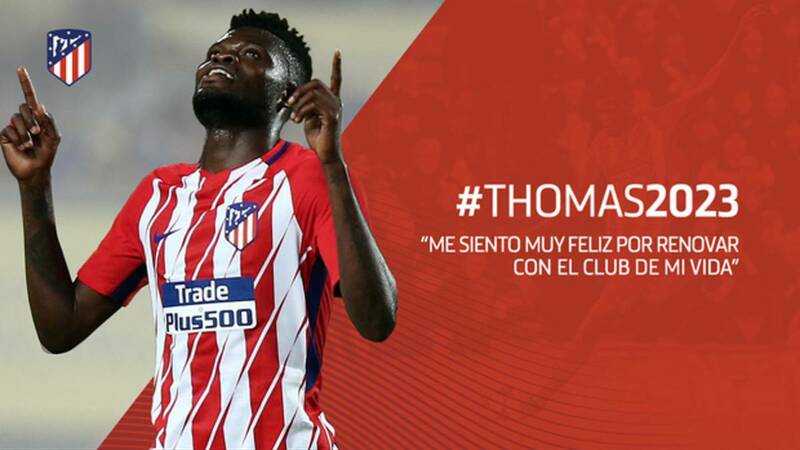 Thomas Partey has penned renewed terms with Atletico Madrid, keeping the Ghana midfielder at the Wanda Metropolitano until June 2023. 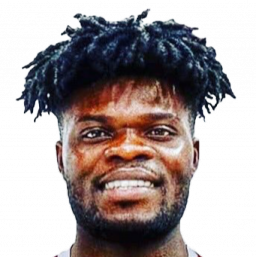 Atletico Madrid midfielder Thomas Partey has signed a contract extension until June 2023, the club have confirmed. 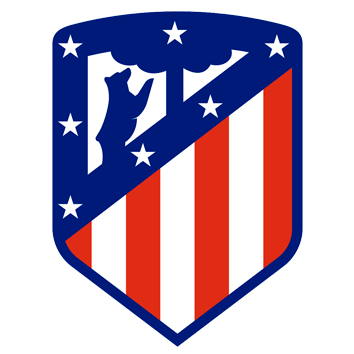 Thomas joined Atleti's academy in 2011 and has progressed to become a key member of Diego Simeone's first-team squad. The 24-year-old Ghana international spent seasons on loan at Real Mallorca and Almeria before making his Atleti debut against Espanyol in November 2015. Thomas, who has made 82 appearances and scored nine goals for the club, also signed fresh terms that ran until 2022 in February of last year. "I feel very happy to renew with the club of my life. I hope to stay here for more years and help the club," he told Atletico's official website. "I always try to work hard, it's not easy to get to the first team and for me it's a pride to continue working at this club." 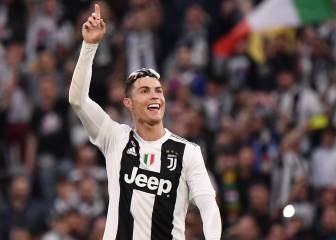 Atletico thrashed Leganes 4-0 on Wednesday, with star forward Antoine Griezmann scoring all four to keep Simeone's men in pursuit of LaLiga leaders Barcelona ahead of Sunday's crunch clash at Camp Nou. 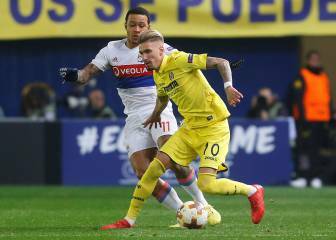 "I am happy because I am playing a lot of minutes, the team is strong, scoring many goals in the last few matches and we will keep fighting to keep up," Thomas added.